While the Quarterback, Wide Receivers, and Running Backs tend to shine the most, the entire offensive line of each professional football team are the ones involved that help determine whether a team scores or not. They are the line of defense against the opposing team, where their jobs are to protect the quarterback, open gaps for the running back, and even take a pass if needed. 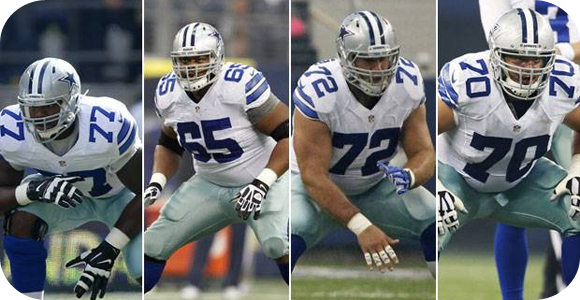 Dallas Cowboys: Possible starters: LT Tyron Smith, LG Ronald Leary, C Travis Frederick, RG Zack Martin, RT Doug Free. Baltimore Ravens: Possible starters: LT Eugene Monroe, LG Kelechi Osemele, C Jeremy Zuttah, RG Marshal Yanda, RT Ricky Wagner. Philadelphia Eagles: Possible starters: LT Jason Peters, LG Dennis Kelly, C Jason Kelce, RG Allen Barbre, RT Lane Johnson. Pittsburgh Steelers: Possible starters: LT Kelvin Beachum, LG Ramon Foster, C Maurkice Pouncey, RG David DeCastro, RT Marcus Gilbert. Green Bay Packers: Possible starters: LT David Bakhtiari, LG Josh Sitton, C Corey Linsley, RG T.J. Lang, RT Bryan Bulaga. Houston Texans: Possible starters: LT Duane Brown, LG Xavier Su’a-Filo, C Ben Jones, RG Brandon Brooks, RT Derek Newton. New Orleans Saints: Possible starters: LT Terron Armstead, LG Andrus Peat, C Max Unger, RG Jahri Evans, RT Zach Strief. New England Patriots: Possible starters: LT Nate Solder, LG Tre’ Jackson, C Bryan Stork, RG Ryan Wendell, RT Sebastian Vollmer . Cincinnati Bengals: Possible starters: LT Andrew Whitworth, LG Clint Boling, C Russell Bodine, RG Kevin Zeitler, RT Andre Smith. Seattle Seahawks: Possible starters: LT Russell Okung, LG Alvin Bailey, C Lemuel Jeanpierre, RG J.R. Sweezy, RT Justin Britt. 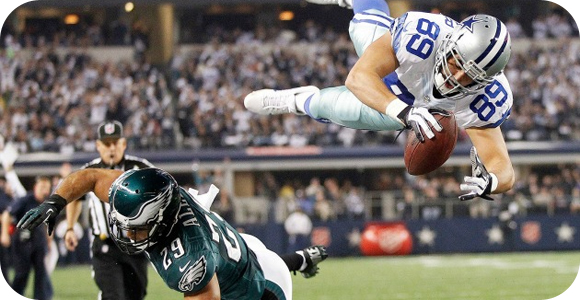 The rest of the 22 NFL teams and their ranking can be found here. You can see that strong offenses like the Denver Broncos is not on this list, and that could be do to the fact that Peyton Manning keeps getting sacked more often than these other teams. Knowing before hand which teams have the best offensive line will be a great help when trying to handicap for this upcoming 2015 season, and even help those fans that need to fill their fantasy football roster.